The topos of the journey is one of the oldest in literature, and even in this age of packaged tours and mediated experience, it still remains one of the most compelling. 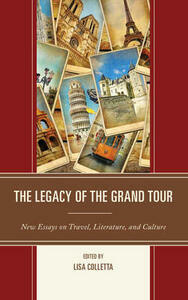 This volume examines the ways in which the legacy of the Grand Tour is still evident in works of travel and literature. From its aristocratic origins and the permutations of sentimental and romantic travel to the age of tourism and globalization, the Grand Tour still influences the destinations tourists choose and shapes the ideas of culture and sophistication that surround the act of travel. The essays in this collection examine a wide variety of literature-travel, memoir, and fiction-and explore the ways travel and ideas of "culture" have evolved since the heyday of the Grand Tour in the 18th century. The sites of the Grand Tour remain a powerful cultural draw, and they continue to define ideas of taste and learning for those who visit them.